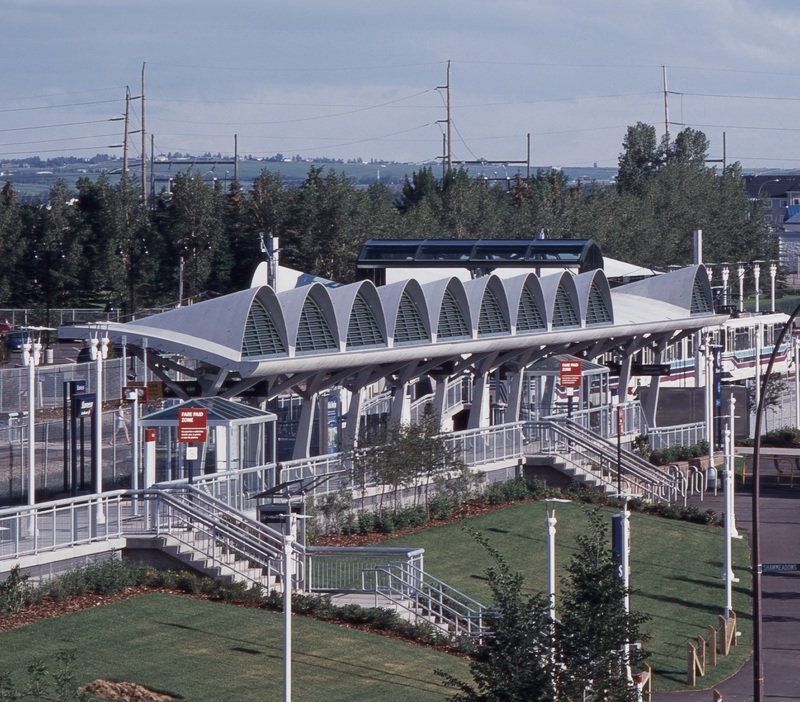 Stantec Architecture Ltd. designed the platform roof for the Shawnessy light rail transit (LRT) Station in Calgary, Canada. 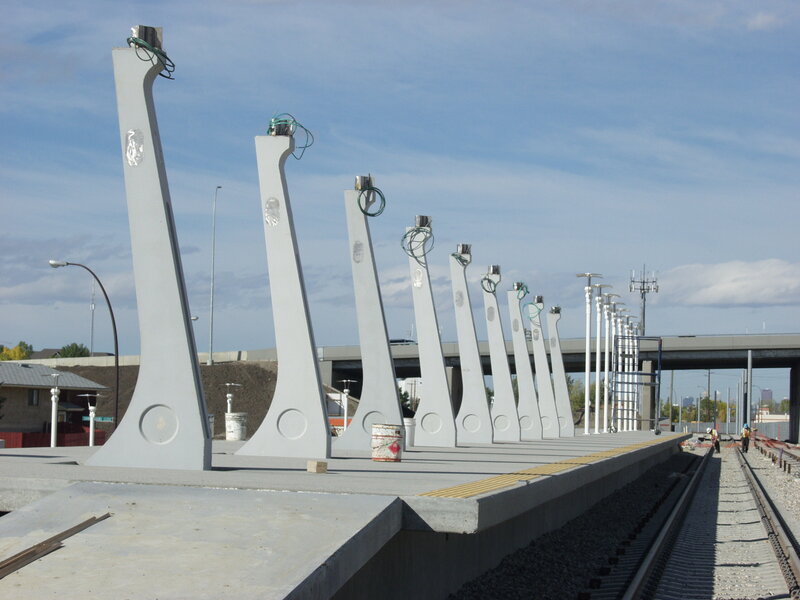 The canopies, made with Ductal® with organic fibres are just 2 cm thick, supported on singular columns, installed on the platform and attached in groups of three. 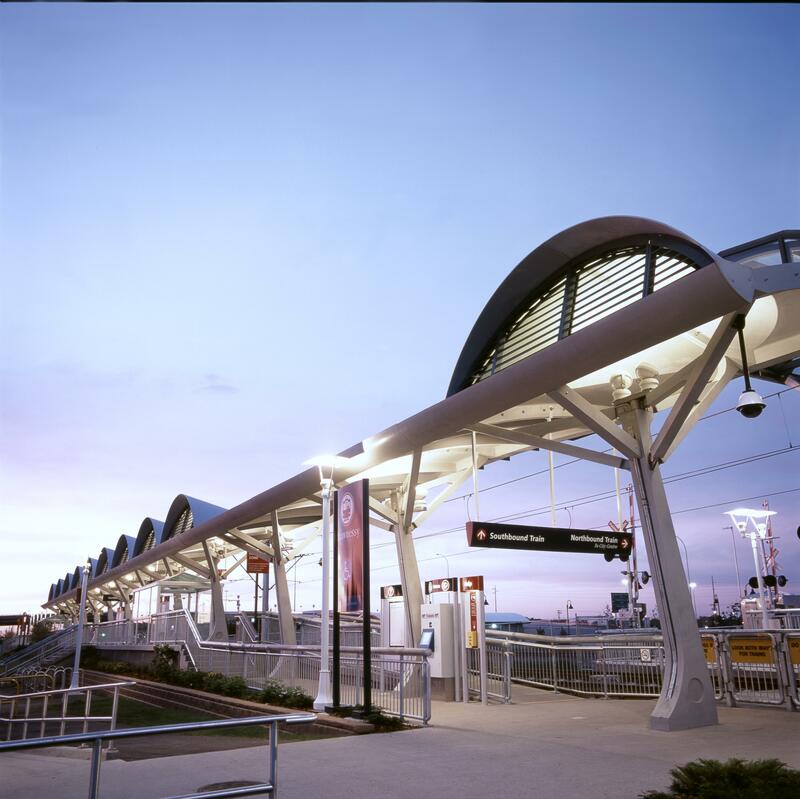 Additionally, three Ductal® struts are connect to each of the columns to support canopy roof system. 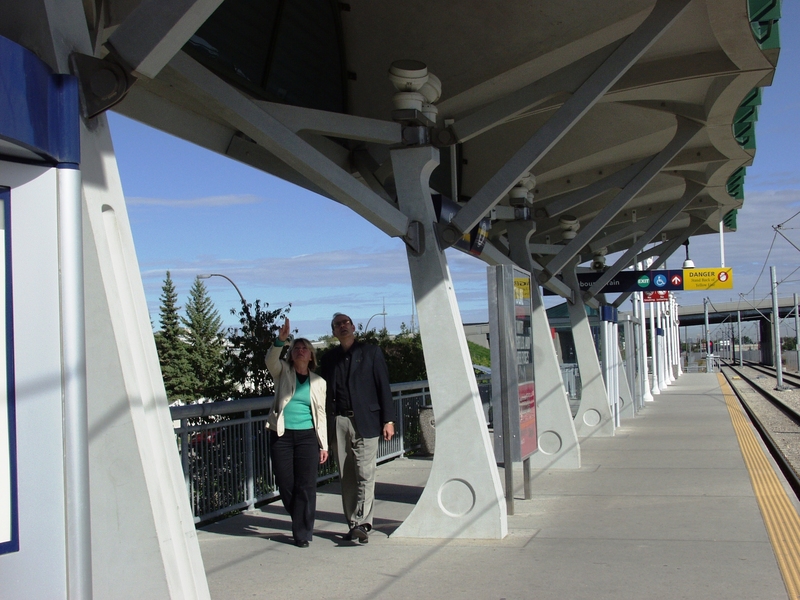 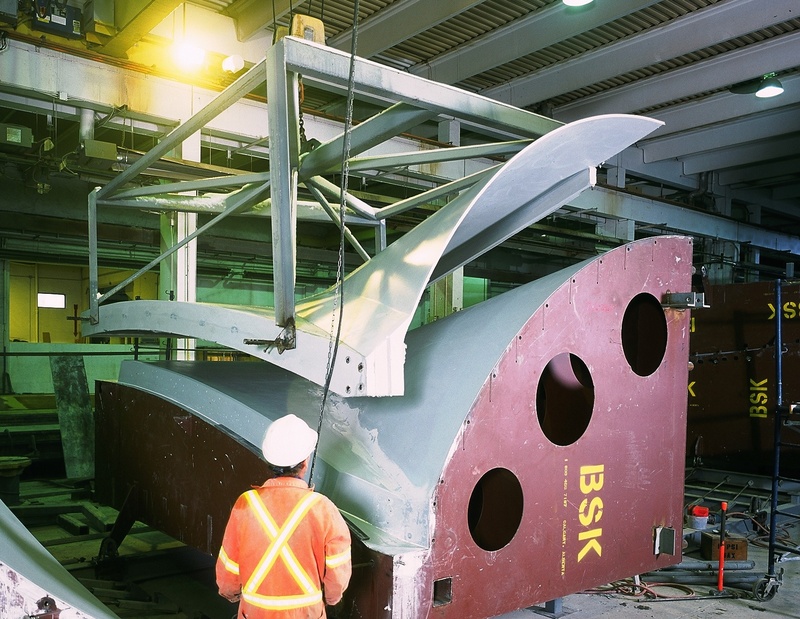 Engineers: Stantec Architecture Ltd. and Strudes Inc.